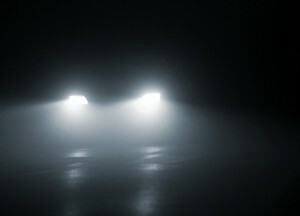 To help avoid deadly accidents, an insurance industry group raised standards for headlight performance, reducing the number of vehicles that earned its highest safety rating. Only 38 models were awarded the Insurance Institute for Highway Safety’s designation of Top Safety Pick+, down from 48 on the initial list for the 2016 model year. Toyota Motor Corp. led all automakers with nine winners. Honda Motor Co. was second with five. Among U.S. automakers, only three models earned the distinction. To get the designation, the industry-funded organization now requires “acceptable” or “good” results in its engineers’ tests of how well roads can be seen in the dark. IIHS said it added the evaluation because government standards allow for wide variation in real-world performance and about half of traffic deaths happen in the dark or at dawn or dusk. Automatic emergency braking and good ratings on crash tests are included in consideration. That has happened in the past. By the end of the 2016 model year, 79 vehicles had achieved the Top Safety Pick+ designation, said spokesman Russ Rader. The previous year, 33 started with it and 51 had it by the end. The past two years, only the Chrysler 200 sedan among domestic autos made the Arlington, Virginia-based group’s initial list – and that car isn’t in production as a 2017 model. Despite that absence and the tougher standards, three U.S. models won the designation: GM’s Chevrolet Volt plug-in hybrid and assembled-in-China Buick Envision sport utility vehicle as well as Chrysler’s new Pacifica minivan. The Volt, redesigned for 2016, now gets a “good” score on the small-overlap crash test and is available with automatic braking and good headlights, Rader said. No Tesla Motors Inc. electric-powered models won a Top Safety Pick award, but Rader said the Model S is currently in testing, as is BMW’s i3 electric car.